What are your Christmas plans for this year? If you are planning to throw a party at your place this is the ultimate thing that would guide you during your planning. To throw a party at home is a common thing but to impress guests is the other part. It is a very well-known fact that even though you try your best your guests being nosy would take out some flaws that might make you think that how could you miss such a thing when planning. Here are some ideas that would make your guests awestruck. The kitchen of the house is a very important part and here the focus is thus shifted to the tastiest corner of your home. The reason behind this is very simple. The best key to win hearts of the guests is through delicious food. As winter approaches taste buds wishes to cheat the diet and hover over different delicacies. To pamper the sweet tooth of your guests you must upgrade your kitchen. You might consult modular kitchen manufacturers in Kolkata who would make your kitchen ready for the party. As you see know the Christmas season is the time for cakes. You might think of installing an oven that would allow you to try your culinary skills over tasty cakes. While you install the new setup in your kitchen make sure you choose a reliable company. This is for two reasons. Firstly, you need a professional to make sure that the setup is safe to use and you won’t end up in meeting any form of accidental hazards. 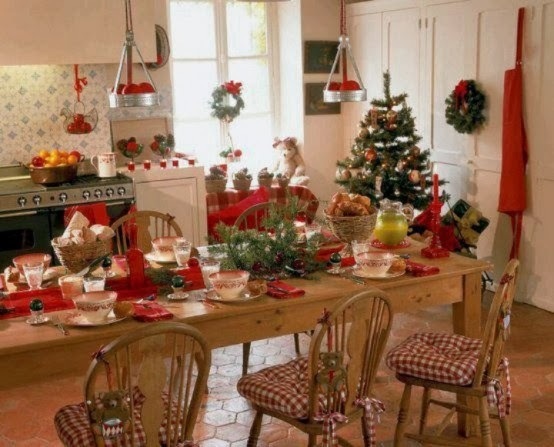 Secondly, you need to place the oven according to the interior decoration of kitchen. The look is also important to make sure your place is ready for the party. You might also consider the ideas of remodelling your kitchen. This would be a smart decision. It’s the end of the year and why not welcome the New Year by gifting your house a beautiful kitchen that you had always dreamt of. This would not only work for the party but it would beautify your home forever. Transforming the kitchen into a modular one is not only for beautifying the look but to make it a more resourceful place. There are many companies who will give ideas and modular kitchen designs. You need professionals for making the transformations in the kitchen as every house is different and experts will measure the areas of the kitchen and offer a suitable format. The party hoppers at your place will get to see a new look of the kitchen. As the first look of the place gets attractive automatically half the work done. Then the food will play the rest part. When the kitchen turns modular every work becomes easier. An organised kitchen gives a neat look. You won’t need to waste time thinking how to arrange kitchen items to make a little more place in the kitchen. It would make the workplace much more comfortable which is very important, as only when hosts remain content they are able take best care of guests.